Planning a new build? 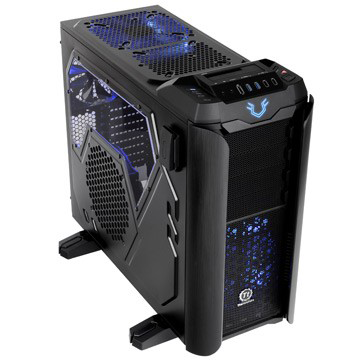 Then why not give yourself a head start by entering our exclusive Thermaltake competition! We've got three awesome prizes for three lucky readers. 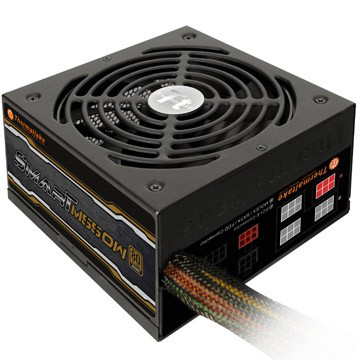 The first winner will bag a high-end Armor Revo chassis worth £140, for our runner up we've got the highly-acclaimed Frio Extreme CPU cooler worth over £70, and for our third prize we're giving away modular Smart M550W power supply worth £60! Think you know the answer? Then enter your name and email address in the form above and you'll be entered into our prize draw. We'll be pulling the names of two lucky winners out of a hat shortly after the competition closes, so good luck! Corsair Carbide Series 678C InWin A1 PLUS Mini-ITX case pre-orders begin (US$199) Thermaltake WaterRam RGB liquid cooled DDR4 memory launched QOTW: Who makes the best PSUs? QOTW: Who makes the best PC chassis? Of course, if you win one it isn't, I guess…! Thanks Hexus, entered, and good luck to everyone else. 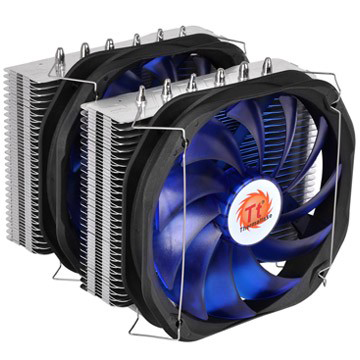 How does a CPU cooler end up more expensive than a power supply :o.